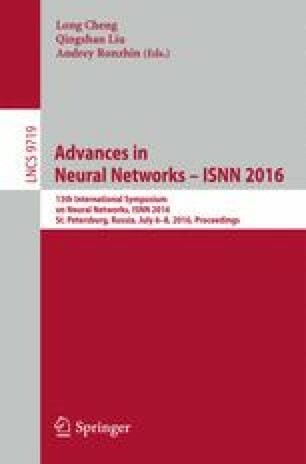 In this paper, a novel technique for multi-class classification, which is independent of the number of class constraints and can learn the new classes it encounters, is developed. The developed technique enables remodelling of the network to adapt to the dynamic nature of non-stationary input samples. It not only can learn the new classes, but also the new patterns created in the input. The proposed algorithm is evaluated using various benchmark datasets and a comparative study of classification performance shows that the proposed algorithm is superior. The authors would like to acknowledge the funding support from the National Natural Science Foundation of P. R. China (under Grants 51009017 and 51379002), Applied Basic Research Funds from Ministry of Transport of P. R. China (under Grant 2012-329-225-060), and Pro-gram for Liaoning Excellent Talents in University (under Grant LJQ2013055).